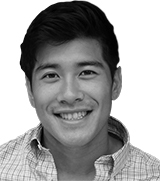 October 09, 2018, 5:00 p.m. In the wake of Hurricane Harvey, which ravaged the Houston metropolitan area and parts of Southeast Texas last August, a majority (71%) of Houstonians believe that their local government is responsive to their needs. 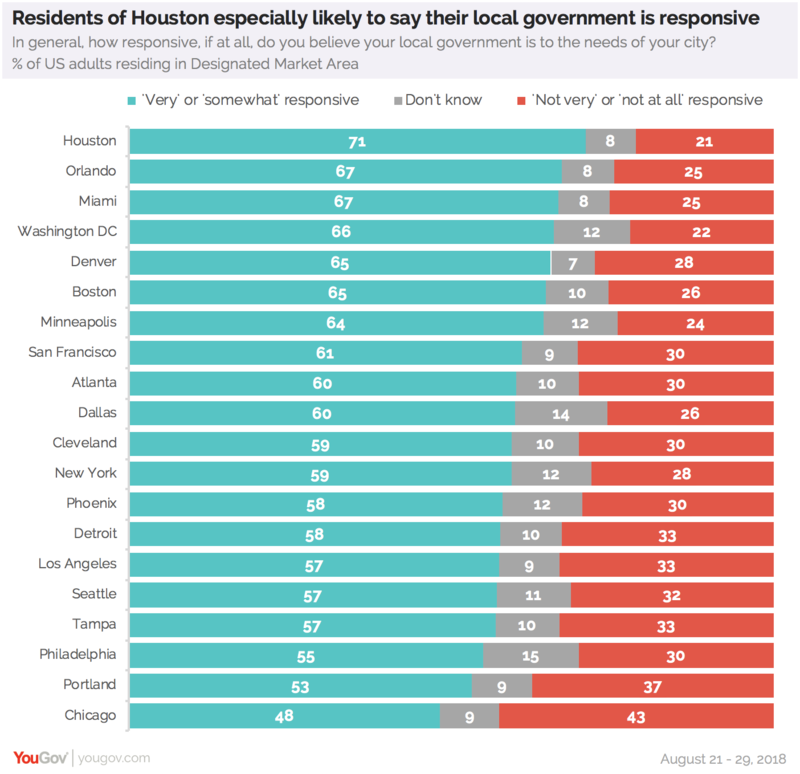 And while residents of Houston are the most likely to say their city’s government is responsive, over half of residents in most cities say the same about their own local government. Less than half (48%) of Chicago’s residents say that their city’s government is responsive. In fact, residents of Chicago are the likeliest among those of other cities to say that their local government is not very responsive (43%). Compared to a similar study conducted last year around the responsiveness of local governments, perception of local governments in Houston and eight other cities improved. Residents in Phoenix and Miami mark no change in their perception of their respective city’s local government. 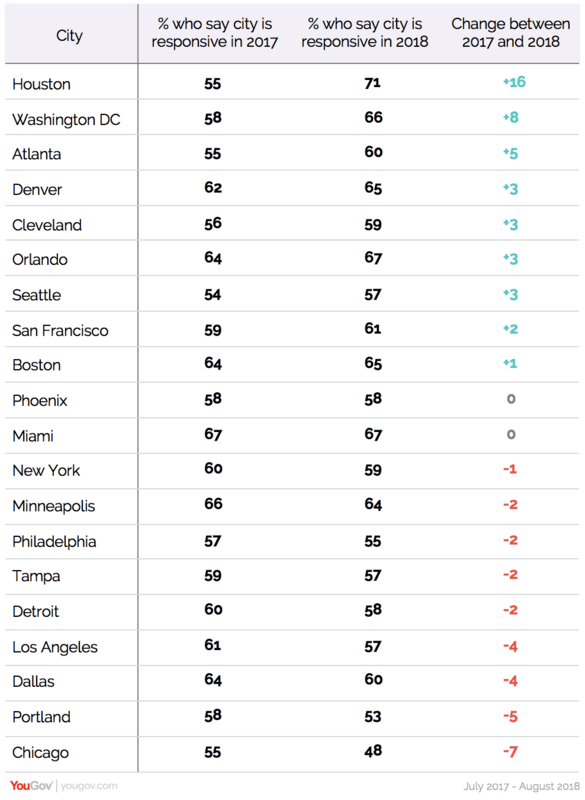 And nine cities, including Chicago, saw a drop in positive perception of how responsive their governments are.